Apple’s latest MacBook, which was introduced back in 2017, was said to be the most wireless-ready laptop ever made by the folks back in Cupertino. One big sacrifice (or rather multiple small ones) that they have made for the sake of design was the absence of many ports. Despite being a device meant to blend in the wireless world, it actually presented users with a bigger problem – the use of more wires than ever before. The irony made some people laugh and motivated others to think of a way to manage all the cables, thus the birth of the USB hub. In today’s blog post, I’m going to talk about the most recognizable USB hub – the Satechi V2, and its cheaper alternative – the HooToo USB hub. Both of them are mainly made to be used with MacBooks. Unlike the 2017 MacBook, Satechi’s hub doesn’t sacrifice design for the sake of function as it is not being connected straight into the laptop’s port as some other brands tend to do. The device connects with a separate USB – C cable instead of being docked to the laptop as this follows the same principle of eliminating ports for the sake of design. The Satechi USB hub MacBook users seem to like the most is the one that has 4K support. 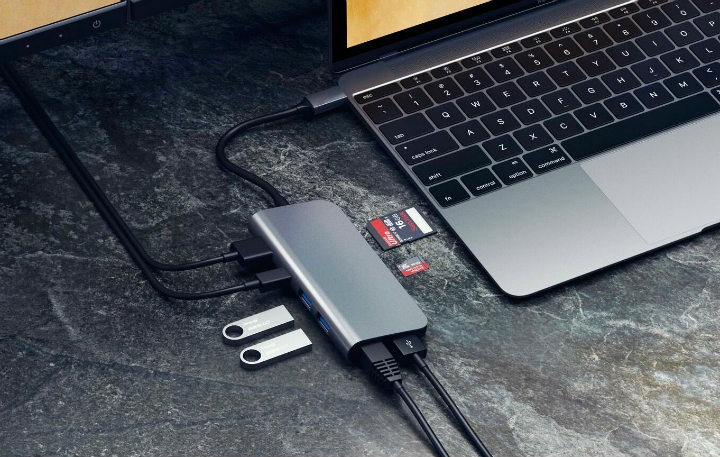 The amount of ports the Satechi hub has is more than 5 MacBooks together and it consists of 3 USB 3.0 ports, a 4K HDMI port, an Ethernet Port, an SD card reader, a Micro SD slot, and a USB – C port for passthrough charging. 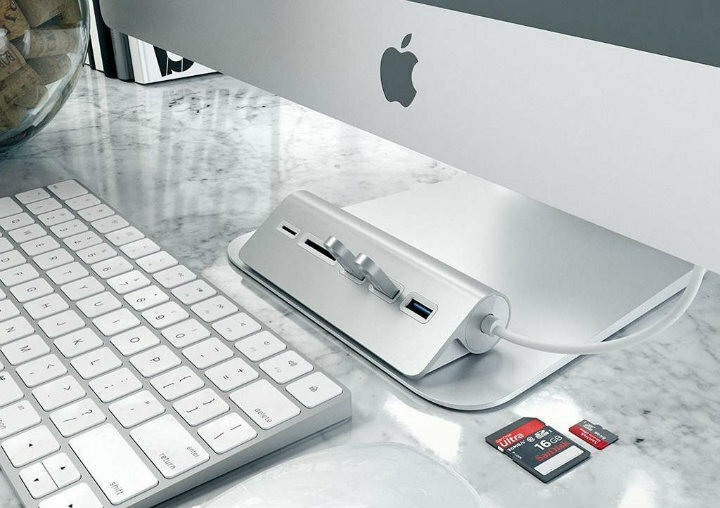 The Satechi USB hub MacBook users are keen on getting simply because it has features similar to those of the MacBook itself – it is compact and lightweight. The device won’t really take up much space on your desk and it also comes in dark grey with the option for a matte finish. The ports of the Satechi’s V2 hub are nicely positioned and have enough space in between for you to plug and unplug cables without some of them getting in the way. Although HooToo’s hub doesn’t have an abundance of ports like Satechi’s, it definitely is a good fit for its price as it has the essential ports the everyday user needs. This USB – C hub is oftentimes the second choice in line for users who are not bothered enough to have a Micro SD slot or an Ethernet port and just want the basic stuff. Here’s a rundown of the ports on this device: 3x USB 3.0, 1x 4K HDMI, and 1x SD card reader. The fact that it supports 4K at 30Hz (30fps) is amazing, considering the price tag, and it also has passthrough charging. With HooToo’s line of USB-C hubs, you can opt-in for an older model which doesn’t have an SD card reader and passthrough charging but it comes at an even lower price than the newer model. This device doesn’t have a sleek design like the Satechi hub but there is quite a solid feel to it and the build quality is the best you can get for what you are paying here. If you are interested in having the same amount of ports on your MacBook as any other laptop has without spending on a new one, then HooToo is a cheap alternative not only for Satechi’s Hub but for a new laptop as well.